The Royal Hawaiian Hotel in Waikiki celebrated their 90th anniversary with a lovely gala in the Monarch Room and hotel grounds. The event was not only to celebrate the Royal, but also to raise funds for ALS research, a debilitating disease that thus far sadly ends in death. 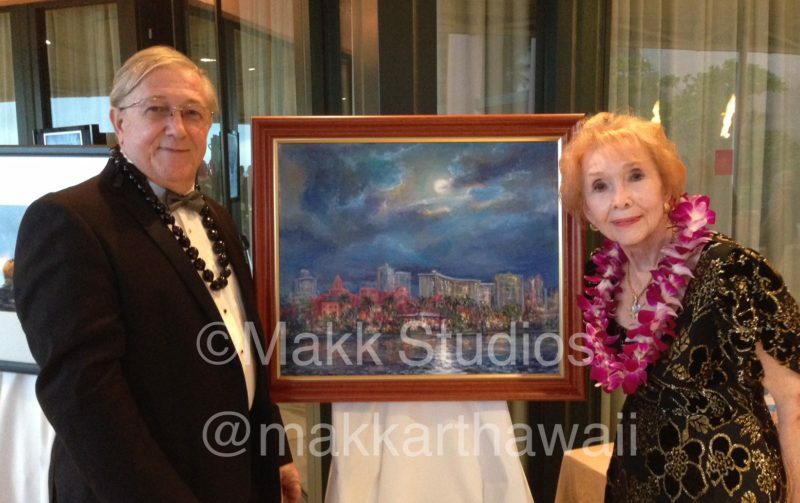 Eva Makk, resident artist of the Royal Hawaiian, donated one of her oil paintings of the Pink Palace titled “Royal Reflection” valued at $25,000. Fun was had by all. Many guests dressed in the 1920’s style to add to the elegant atmosphere.